Taiwan, surrounded by the sea, has a long history of deep sea fishing, offshore fishing, and coastal aquaculture whose breeding technology is internationally renowned. However, pumping large amounts of groundwater for the traditional practice of artificial feeding causes severe ground subsidence at the southwest coast, and even problems like seawater intrusion in the rainy season. Recently the government actively promoted a policy of seawater breeding rather than freshwater. By planning and building seawater supply facilities in particular production areas, clean seawater can be directed into fish farms. Coupled with advanced technology, water supply systems monitor the water supply and electrical power facilities to ensure a steady quality and quantity of water supply. Through the use of a fiber-optic network and a user-friendly interface, management staff can remotely monitor onsite conditions, ensuring that fish farms maintain in the best conditions for fish breeding. The process of supplying water is to introduce seawater through penstocks. After precipitation, seawater is pumped to the fish farms. Easy Control Technology, the system integrator responsible for this water-supply and electrical facilities engineering project, building the monitoring and control system, divided the system into four areas: grit chambers, pumps, power systems, and control room. 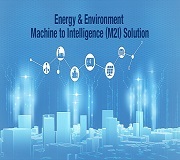 Each area adopts the appropriate hardware, software products, and I/O modules in accordance with the needs of different functions, and acquires digital and analog signals for system monitoring. The monitoring system must use redundant architecture to ensure a stable water supply for protecting the species with high economic value from death of suffocation due to water, power outages, and other issues. At the same time, one of the necessities is rugged hardware to withstand strong wind, salty and humid conditions, and huge outdoor-temperature differences between day and night. Furthermore, in order to maintain transmission quality over a long distance, the project adopts an optical network to provide fast transmission rates and simultaneously reduce noise interference. The switches must also support a specific protocol to facilitate user management. The software must allow onsite management staff and local government to monitor the status of fish production are all the time, so HMI/SCADA software, with an easy-to-use user interface, is an essential feature of this project. 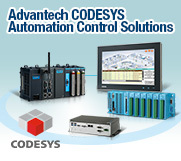 To meet the requirements of Easy Control Technology, Advantech provided the APAX-5620KW programmable automation controller (PAC) with a variety ofAPAX digital and analog I/O modules (including the APAX-5040, APAX-5060, APAX-5017, and APAX-5028), to build a redundant system architecture for monitoring electric gate and grit removal equipment. The same configuration was also used for monitoring the power generator and power distribution panel in the power system. Five APAX products with theAPAX-5013 8-channel RTD module acquired data and control pumps, pressure, water level, flow, electric butterfly valve, etc. 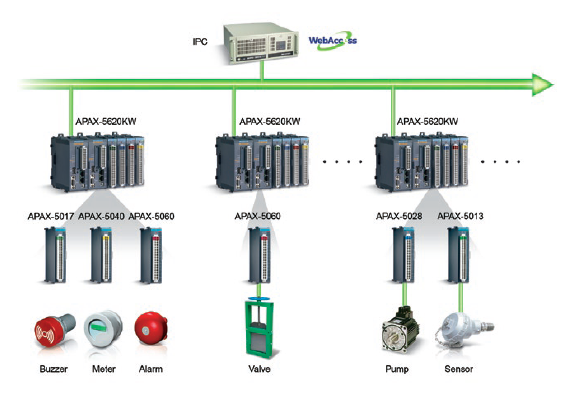 For data acquisition and on-site control of these three areas, the core is the APAX-5620KW controller. Its dual-CPU module architecture operates independently, providing high-performance computing and performing input and output control tasks. In addition, the redundant mechanism stores an I/O processing program on the two controllers in two independent systems. The primary controller performs I/O operation, and the standby controller will automatically and quickly take over when the primary controller fails. This unique dual-controller architecture provides excellent reliability for a stable and uninterrupted application. An ATX Motherboard AIMB-781, rack-mountableACP-4000 chassis, and Advantech WebAccess HMI/SCADA software were installed in the central control room of the building. Its easy-to-use user interface provides management staff with dynamic graphics display and real-time data control. The browser-based software also allows local and central government units to remotely monitor the status of aquaculture production area at any time. 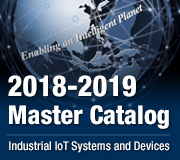 In addition, Advantech also provided the EKI-4654R and EKI-7659C industrial-grade switches, supporting the Simple Network Management Protocol (SNMP). Through these high-performance Ethernet switches, the onsite hardware devices of this project seamlessly connect with the control room monitoring system, to ensure the quality of transmission. With the dwindling resources of marine fisheries, the aquaculture industry is booming. The agricultural and fishery government departments actively promote policies like reducing the over-pumping of groundwater and farming with seawater instead of fresh water. In order to ensure farming operations can run smoothly in the production area, continuous monitoring of the seawater supply is an indispensable measure. 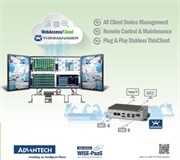 Easy control technology with sophisticated experiences in a variety of water treatment projects, coupled with Advantech complete product lines, provided a redundant mechanism and a stable solution from a single supplier. 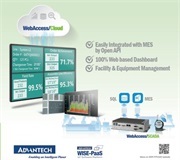 Because WebAccess HMI/SCADA software, and APAX and EKI series of hardware products can be easily implemented and maintained, with a friendly HMI interaction and other characteristics, this monitoring solution achieves optimized results.